It may be -2 and white outside the hive, but inside the bees will be huddling together in a cluster and vibrating their wings to create warmth. Backpack A layer of snow on the roof of the hive may even help to insulate it further against the cold. Mini In fact the hive may be so toasty it could attract mice looking for a cosy spot to bed down, so you’ll need to guard against such intruders by fastening with nails a galvanised strip of metal called a mouse guard over the hive’s entrance. The main worry at this time of year is whether the bees have enough honey to see them through the cold spell when the temperature is too low for them to leave the hive and forage is scare. You can get an indication of the amount of honey they have by ‘hefting’ the hive. You do this by lifting the hive with one hand at the back of the hive just slightly off its stand. Big If you heft your hives at intervals during the winter you’ll get a better idea of how it compares to the autumn when you left them 30lbs of stores. 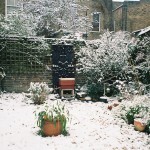 Given the mild winter we were experiencing until a week OK, the bees should be fine and the hive should be hard to lift. Once the cold spell is over, your bees will want to get out of the hive to defecate. You may have to help them exit by clearing the entrance which may be clogged by bees that have died naturally during the winter. Don’t panic if you see lots of dead bees around the hive during the winter. Remember their life span is short. 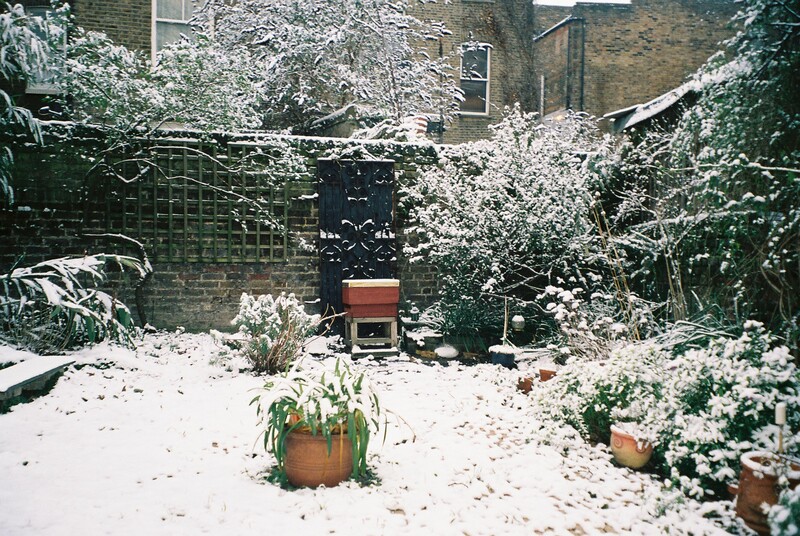 If they come out on a sunny day while snow is still on the ground, clear the snow around the hive to prevent your bees getting confused about which way up to fly. Kanken Apparently that can happen because of the way snow reflects the sky. Now’s a good time to do a stock check and list what new equipment you’ll need for the spring. This entry was posted in All blogs on August 21, 2013 by alison.